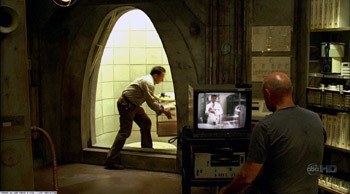 The fifth season of LOST begins tonight at 8, and it's hard to believe that almost eight months have passed since the last one ended. If you find yourself blurry on the details of the fourth season, you should start with my old LOLLOST feature, before catching up on the final two-hour episode below. 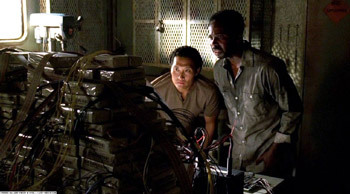 As a tribute to Charlie Pace, Jin and Michael blow up all the remaining heroin on the island. 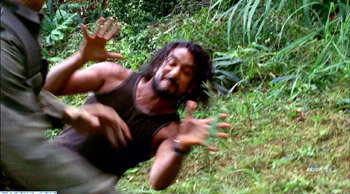 Sayid shows off other fighting techniques learned in the Republican Guard, such as the Gopher Surprise. 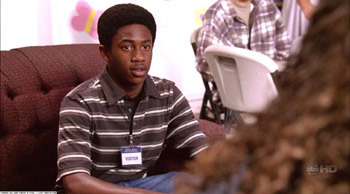 The writers take advantage of the skewed timeline on the island to account for Walt's major bout with puberty. Claire's baby bears a striking resemblance to Kuato from Total Recall, but more importantly, boobies. 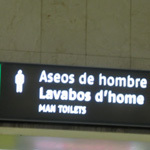 The newly-discovered orientation video suggests that the station was used to study the effects of humans showering with animals. After finally getting off the island, Hurley realizes he's been holding it in for a very long time. 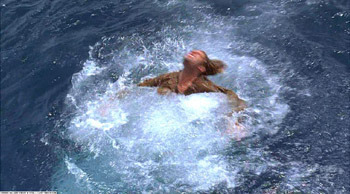 Sawyer is attacked by the island's resident Dharma shark, although a cut in the special effects budget leads to some really bad Photoshopping and no view of the shark. 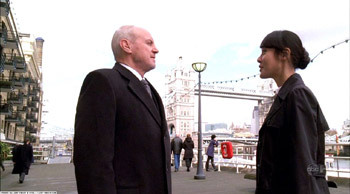 Sun uses her settlement money to travel to London, where she gets the autograph of the star of Spamalot. Sawyer comes to the unpleasant realization that even pretty people need to shower sometimes. 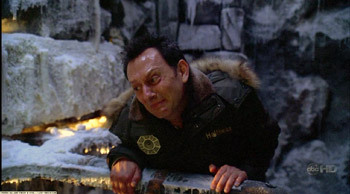 Benjamin Linus is trapped for eternity on LOST: The Ride, after his lapbar fails to return to the neutral position. In a flashback, we revisit Jack's childhood to learn even more about his tattoos. 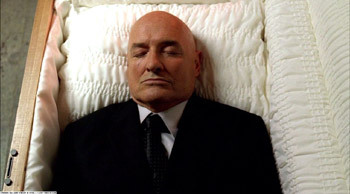 We learn that the entire story is just a figment in the imagination of John Locke, and everyone's existence ends when he dies in a tragic sweat lodge accident.